Planet Hell: Now Playing - "insatiable interest in fashion." Now Playing - "insatiable interest in fashion." 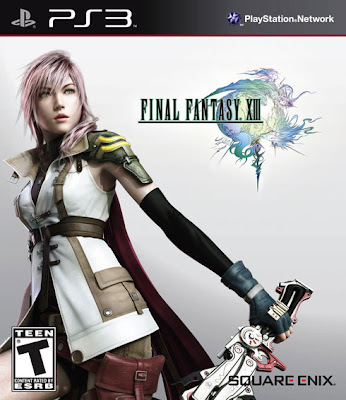 Its mainly Final Fantasy XIII (PS3) I've been playing this week since I've been looking forward to it for so damn long, even with all the hype and negativity it received from the Japanese release. So what are my thoughts on it? In a nutshell, its not that bad really. Sure, there are flaws and limitations to it, but as a whole, it seems to work on some levels. I'll keep the spoilers to a minimum, but be talking about some of the mechanics. Firstly, the graphics are amazing. This is probably the best looking game I've ever played. I had thought initially that Uncharted 2 was better than it, but I've slowly changed my mind on that. Its definitely up there with some really graphically games anyway. It also has really nice art direction in places. Some of the enemies, characters etc have really cool designs. Some are just a bit crazy however, some of the Eidolons...are just insane. They must have wanted to really redesign all the FF staples and take them in new directions visually. Some of the results are pretty damn cool, like Odin (one I always liked) but apparantely some are more outlandish. As far as the battle system goes, I am liking it so far. 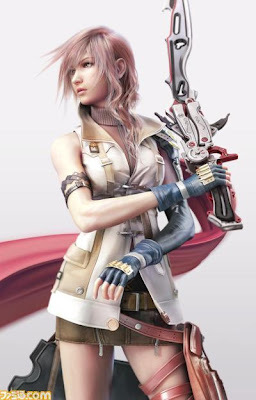 Initially I felt there wasn't much depth but they keep adding little bits on, the Paradigm shift class change thing you can do in the midst of battle, 3 way battles, Summons (very much like FFX) and a few other things. I've not got everything yet, as I'm in Chapter 5 but I'm impressed with the fluidity of the commands, menus and animations in battle so far. Still, it does feel like there is some depth missing, probably moreso from the other gameplay mechanisms. The Crystarium and the Upgrading systems are two more things that really cry FFX to me. The Crystarium is very similar to the Spheregrid system-each character gets an amount of CP from each battle and you can use these to progress along the different paths in the Crystarium. (I say different paths, that is a bit misleading since there is only really 1 path most of the time, with some nooks coming off it.) You have different Crystariums for each character's different Classes, or Roles as I think they are called, ie. Commando, Ravager, Medic etc. Yup, there ain't no class names of old..(no Black Mages T_T) As the game has gone on, it has got a bit harder to max everything out, but the game does through times at you when you can not progress in the Crystarium, as you unlock certain items, additions to the ATB and the ability to progress in the Crystarium as you beat bosses or progress through the story. Story wise, it is quite compelling. I don't particularly love any of the characters, but I am interested to see how the story goes from here. There are definite aspects of FFX's story here to me, perhaps the ideas of futility and the cyclicity of things, its got a similar love story to me as well. Overall, I'm quite impressed so far despite some of the limitations. 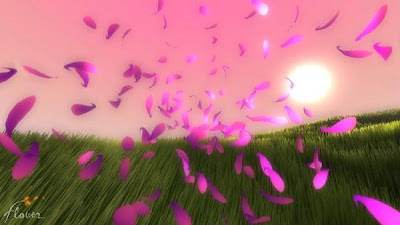 Other than FFXIII, I finished off Flower (PSN). Its only a couple hours long to finish, but its different from most games out there, and I'm really glad I put down the £6.30 or whatever it was for it. Its really relaxing, with the exception of 1 level, which brings in this dark atmosphere. Although I am really glad that level was there, as it started to really make me think about what the game represented in some ways, in terms of themes and messages. The dark theme and shadowy, dangerous twisted metal structures and pylons kind of made me think about urbanisation and the relentless way in which we have used the natural resources up, scorching the earth and burning the skies. It really ends on a hopeful note though, with the discordant sounds of the 2nd last level giving way to really uplifting music. Its such a beautiful game, try it out if you want something you can just kick back with and relax. Now Playing - "Harbinger of your destiny"
Now Playing - "must resist emo urges"
Dragon Age: Origins is finished!